It’s hard to believe that it’s already been six years since the release of Nic Bommarito’s great full-length album, “Harp Fragments”. When Nic contacted me about releasing a new album at blocSonic, I had only recently visited his website to see if he had released anything new, only to be disappointed. So, suffice it to say that his desire to release new music at blocSonic was a terrific surprise to me. There are a few artists in the Creative Commons community who never let you down when they release something. For me, Nic is one of them. Today, it’s a thrill for me to be able to bring you the new album! 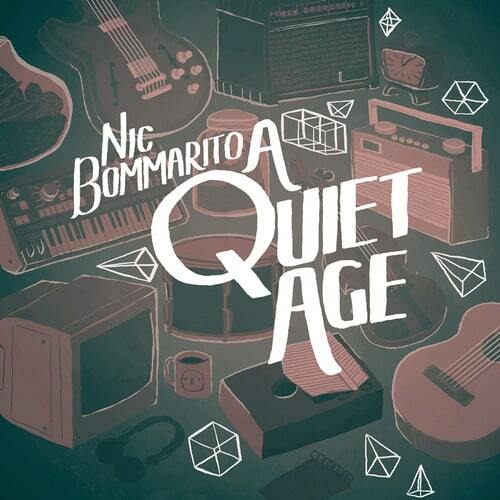 A Quiet Age is a collection of eight gorgeous tracks that builds on and refines the Bommarito sound that fans have come to know and love. Download it… turn it on and chill. A big thank you to Nic for bringing your exceptional sound to blocSonic! Thanks to Brendan Held and Michael Connolly for adding your artistry. Finally, thanks to Benjamin Wright for defining the impressive look of Nic’s releases.